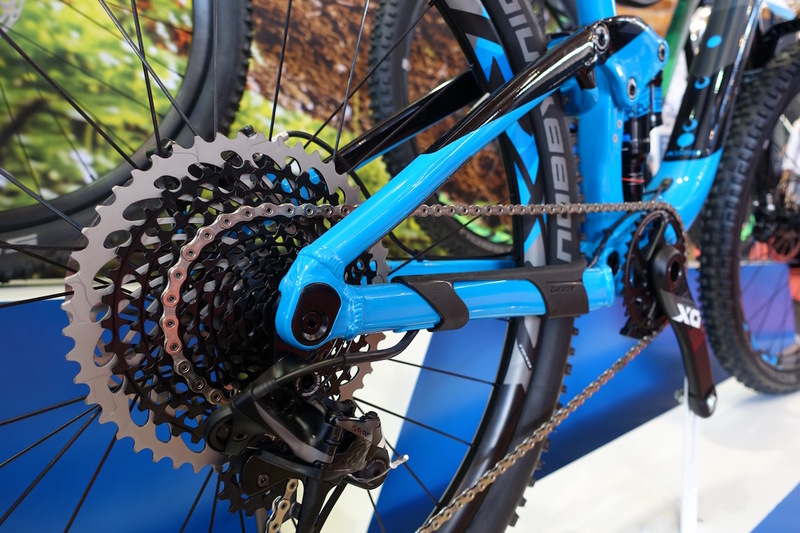 Taiwanese company Giant Bicycles is well known worldwide for producing top value complete bikes that provide riders with a lot of bang for buck. 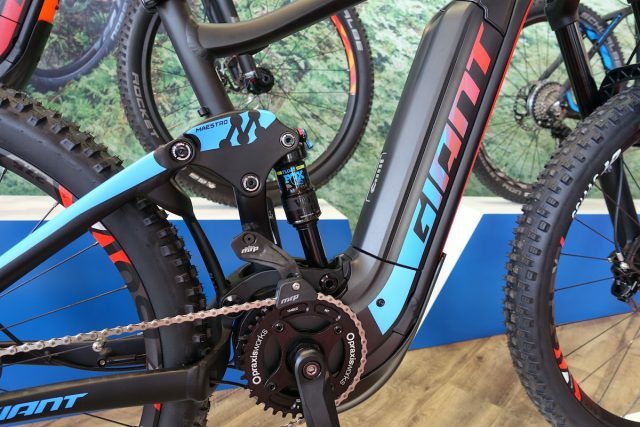 In recent years though, they’ve been stepping up their performance game, taking the ride qualities of their full suspension models to the next level. 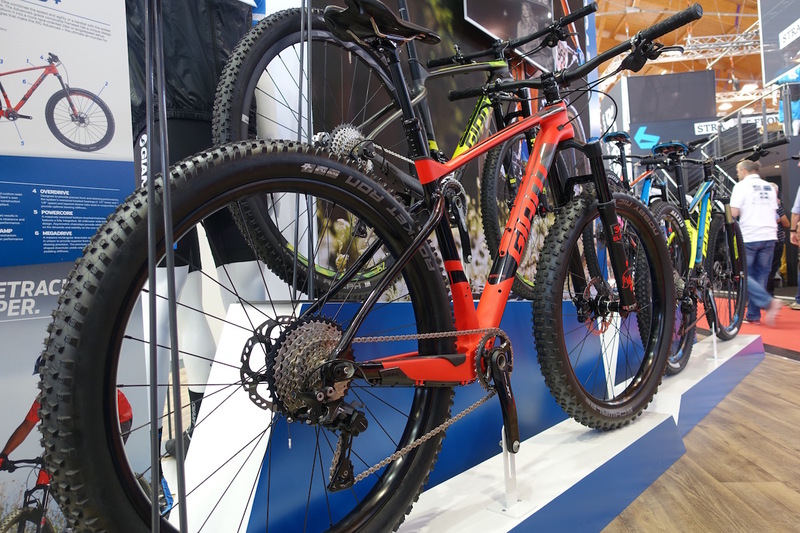 For a typically conservative brand, they’ve been progressing their geometry to align with more modern standards, which we saw last year with the latest Reign. For 2017, Giant is rolling updates through its full suspension line, with the Anthem and Trance models getting an all-new chassis’ that is trending away from the XC racerboy style, and more towards the trail end of the spectrum. 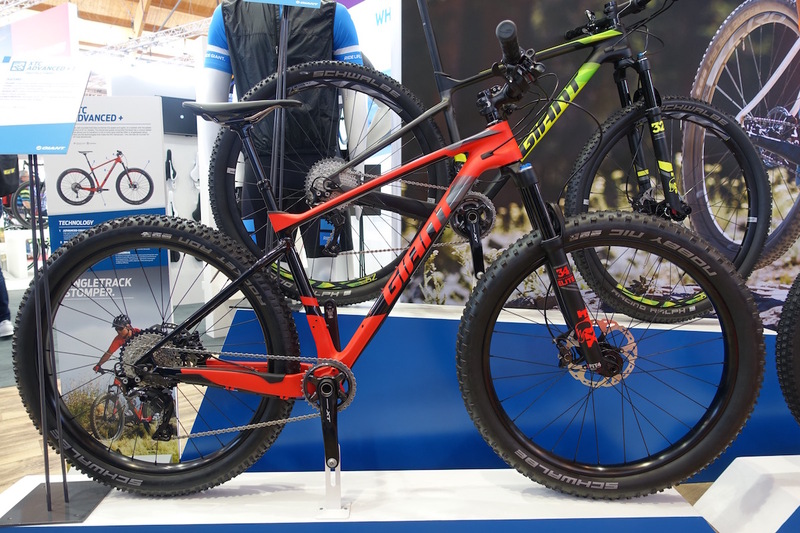 They’ve also got a new XTC carbon frame, which is compatible with 29in wheels and 27.5+ wheels, making it Giant’s first ever plus bike. 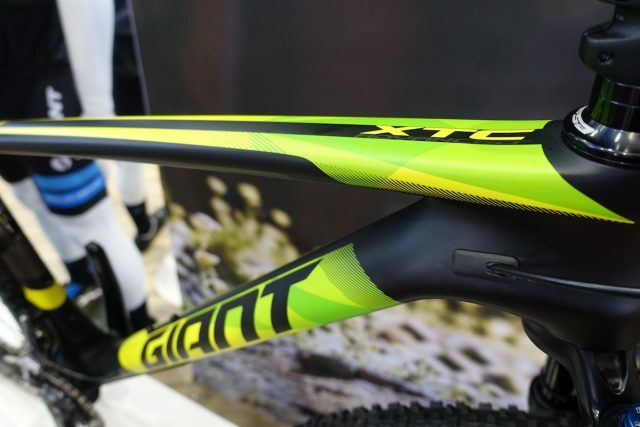 The 2017 Giant XTC Advanced frame will be compatible with 29in wheels or 27.5+ wheels. 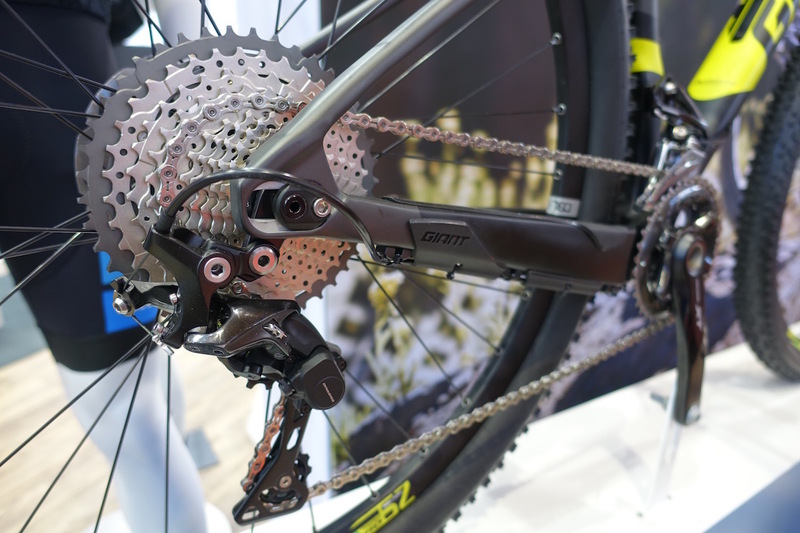 Giant will offer several complete bike options with both, which includes the XTC Advanced + 1 you can see here. The plus model is designed as more of a trail bike, so Giant have slapped on a Fox 34 fork on the front with 130mm of travel. Combined with the fatter rubber, this looks like it could be a very fun lightweight hardtail. Like the existing XTC carbon frame, the new version runs a PF92 bottom bracket shell and hugely oversized chain stays for power delivery. Slender seat stays should give a little more comfort, though the 2.8in wide Schwalbe tyres are likely to carry most of the compliance duties. 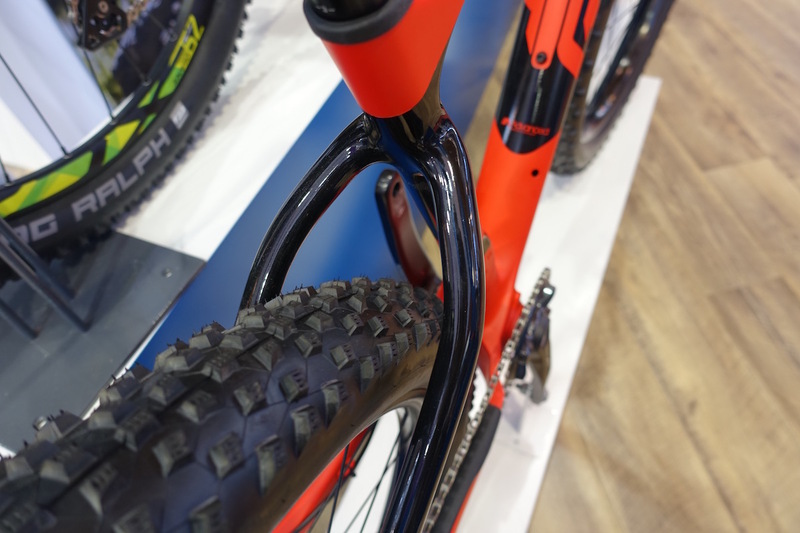 Still plenty of mudroom, so we’re guessing a 3.0in wide tyre will fit too. 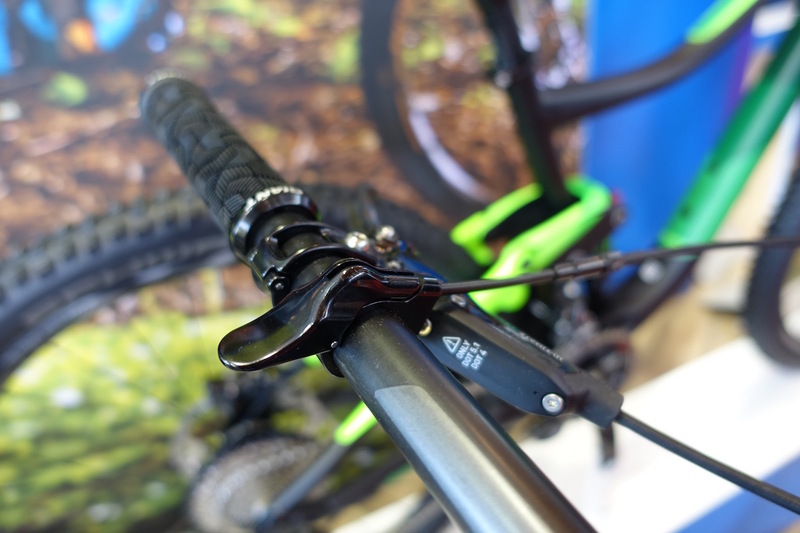 A neat adjustable chip in the dropout allows you to flick between 27.5+ and 29in wheel setups. 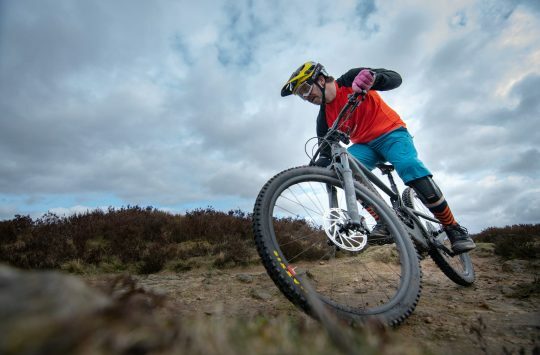 With the plus tyres, you run the rear wheel in the most rearward position in the dropouts. 1x drivetrain, dropper seatpost, 2.8in wide tyres, 130mm travel fork – is this the funnest hardtail that Giant have ever made? 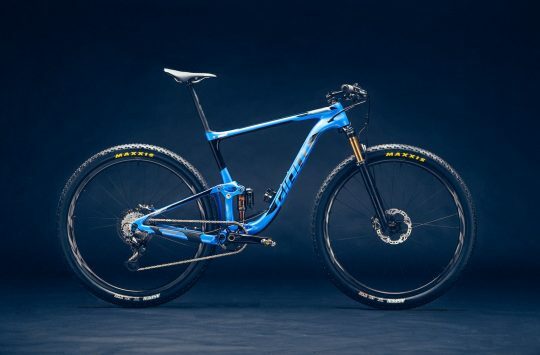 But if you’re more of the mile-munching type, then Giant build the same XTC Advanced carbon frame with a lightweight 29in wheel setup. With the 29in wheels, the XTC Advanced represents a bit of a turn for Giant, who have famously denounced 29in wheels in the past after converting their entire lineup to 27.5in wheels. Will we see more 29ers from the Taiwanese brand? Adjustable dropouts setup in the most forward position for the 29in wheel setup. 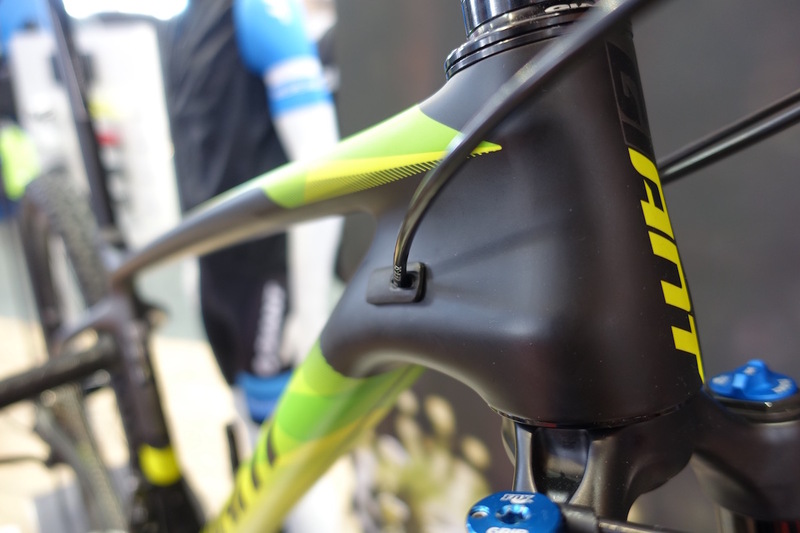 We also dig the integrated rubber armouring around the drive-side chainstay. It’s a neat execution of the adjustable dropout design. 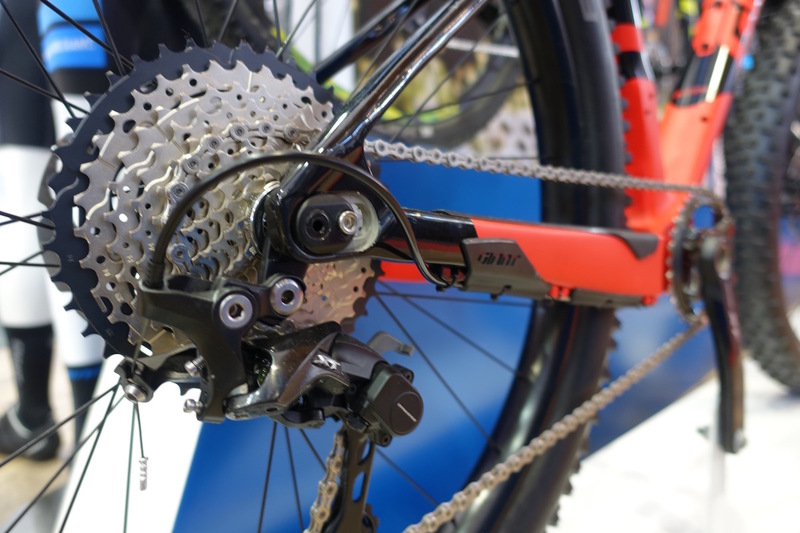 Other neat details include the provision for side-swing front derailleurs. And sealed rubber grommets for the cable entry points. 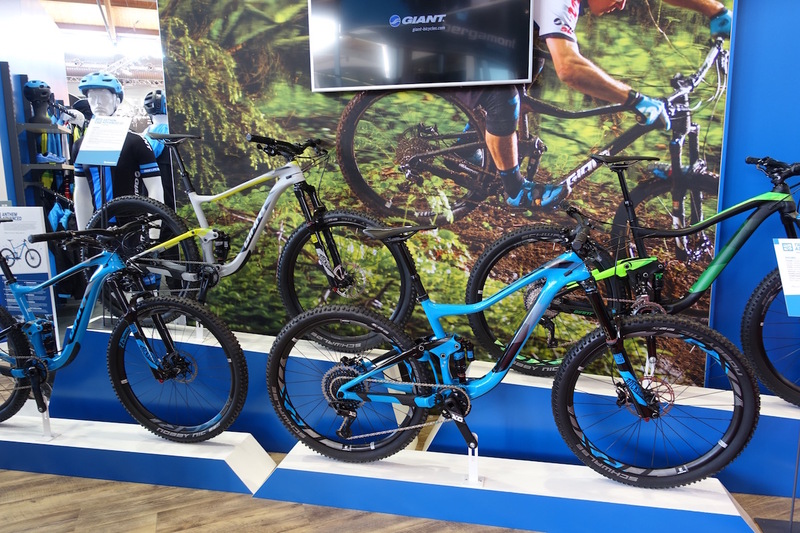 Giant were also showing off their brand new Trance and Anthem models, which are sticking with regular 27.5in wheels for 2017. Ooh blue tartan! 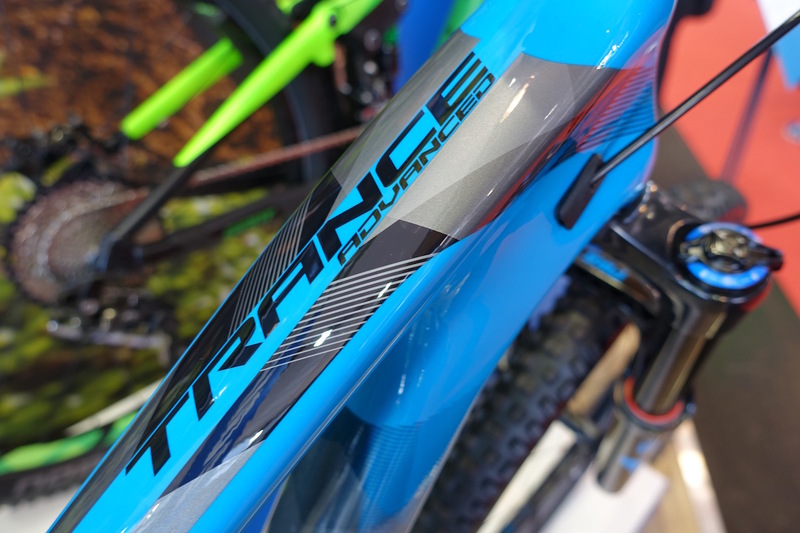 The Trance will come in alloy and carbon models that are denoted with the ‘Advanced’ moniker. 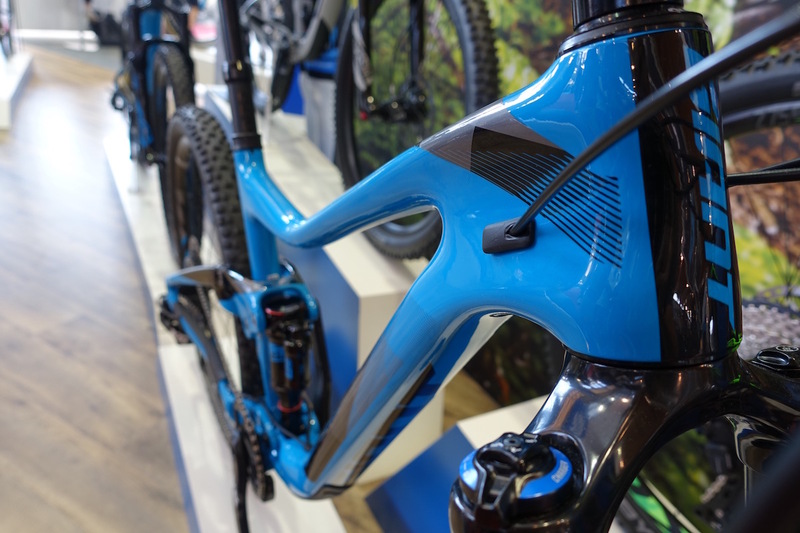 The rear triangle on the carbon models is still alloy, as Giant aren’t convinced that the manufacturing costs are worth the trade off. However, the new rocker link IS carbon. 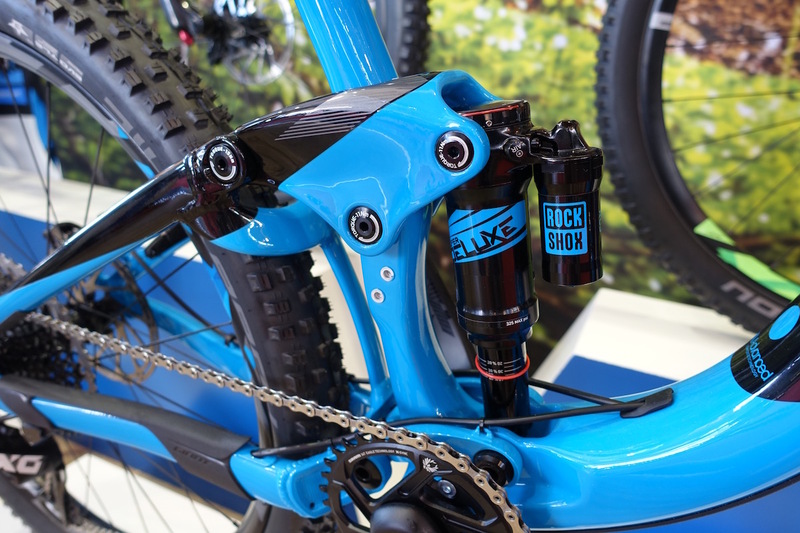 This is a beautifully smooth piece of carbon fibre that runs the new trunnion mount on the RockShox Deluxe rear shock. 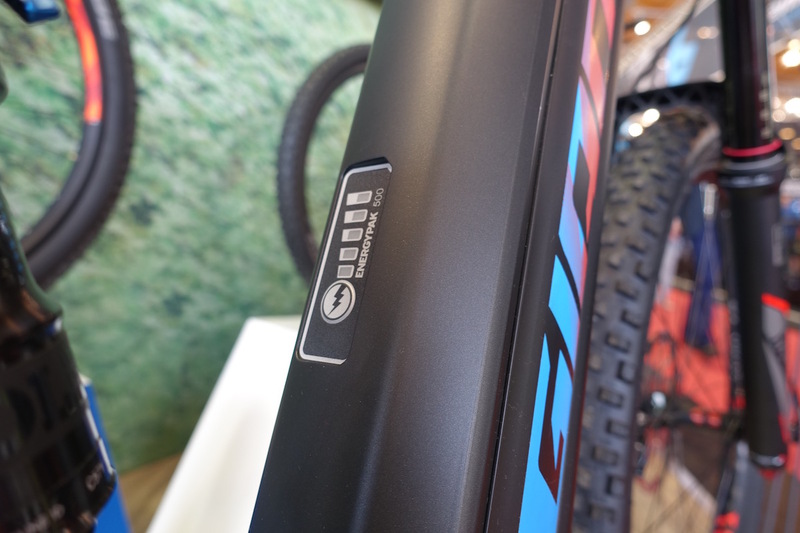 Metric sizing too and all that. 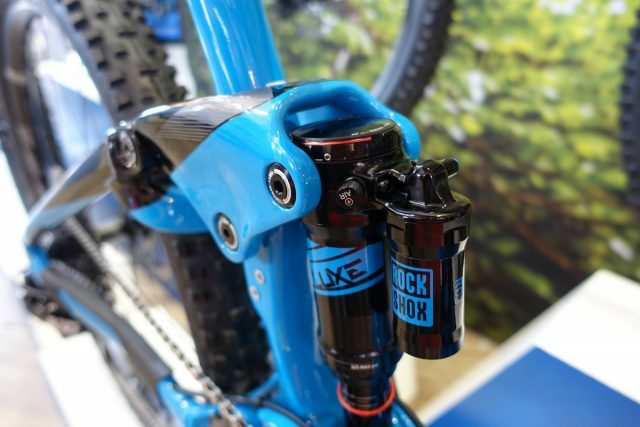 The upper shock attaches to the linkage via two sealed cartridge bearings. 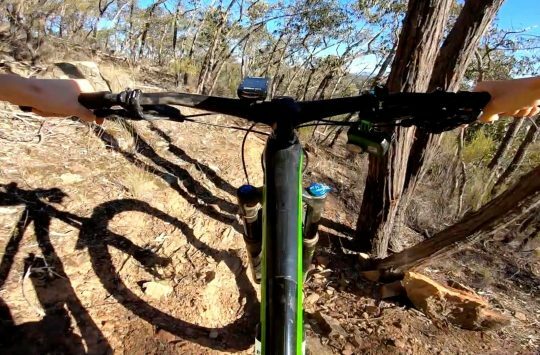 No DU bush up here, which should lead to increased durability and a smoother suspension feel. 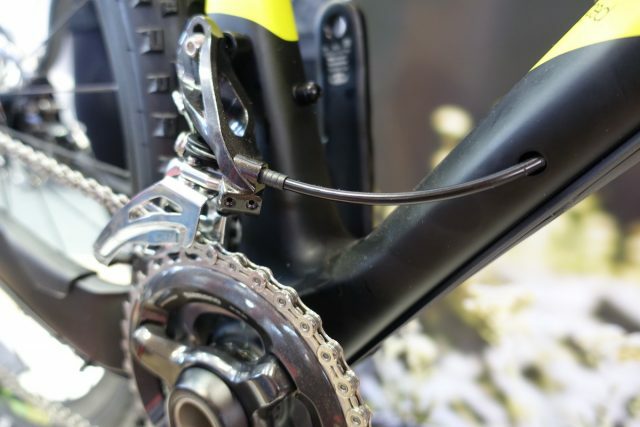 Internal cable routing through the alloy one-piece rear triangle. 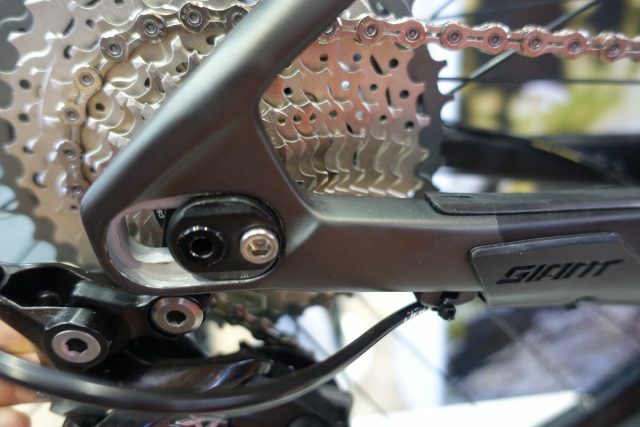 Beefy 148x12mm BOOST dropouts on the back of the Trance. 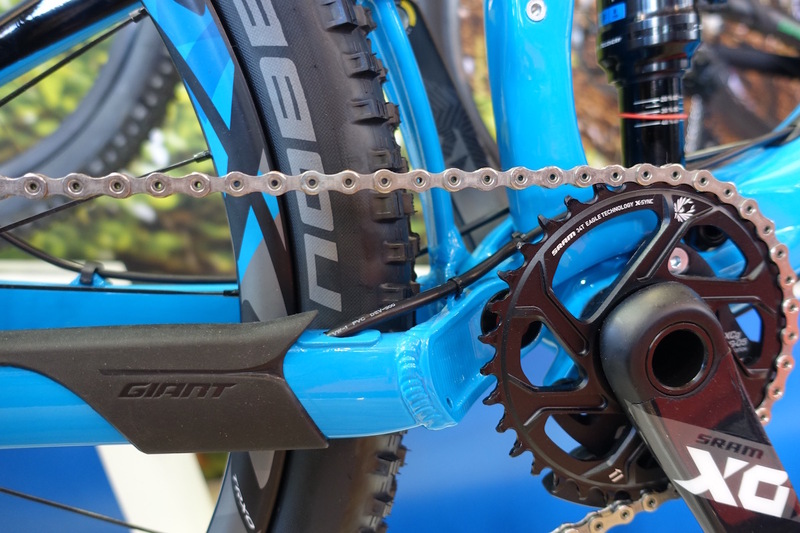 Yep, Giant have BOOST’d their bikes too. 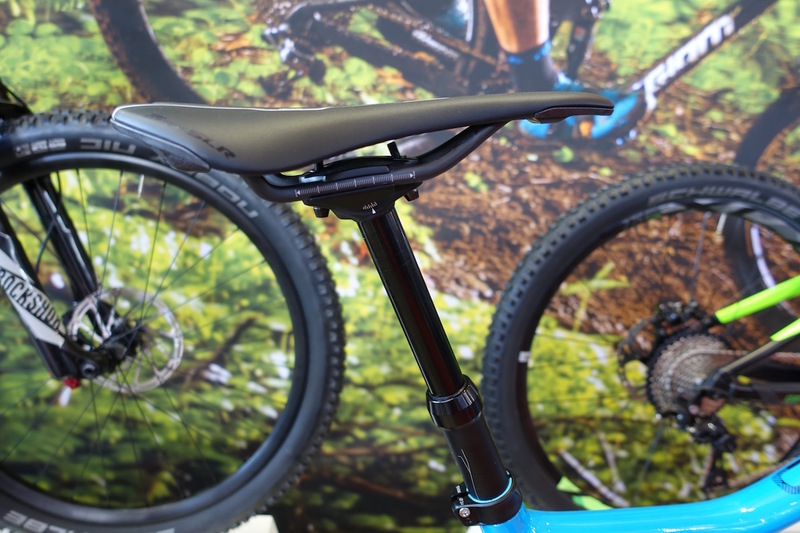 New Giant SLR carbon saddle and Contact SL dropper post spotted aboard the Trance Advanced. Giant’s new dropper post offers a smoother feel and purportedly improved reliability over the old version. Neatly executed internal cable routing and a semi-integrated headset. 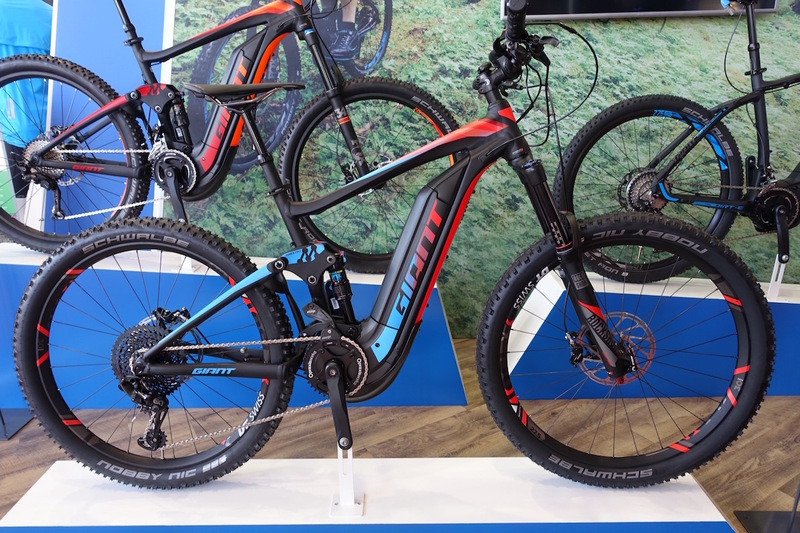 Also on display at Giant’s Eurobike display was this full suspension ebike, which signals Giant’s entry into the off-road ebike world. 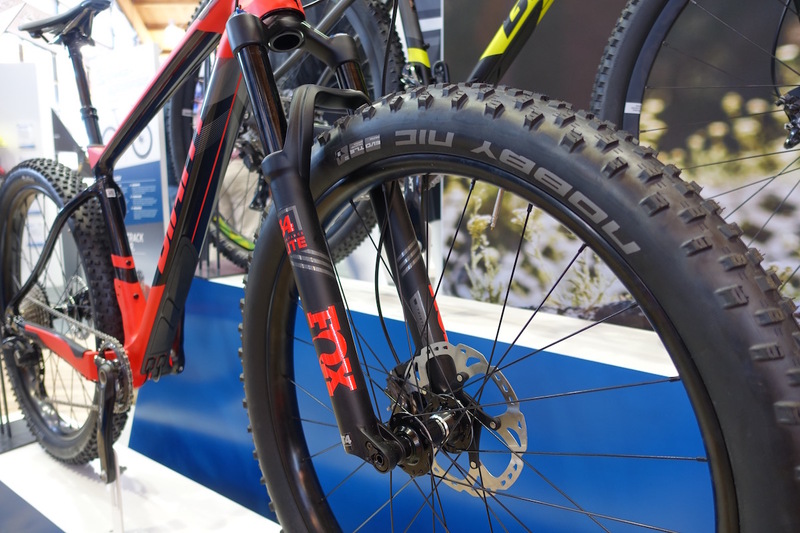 Called the ‘Full-E + 0 SX’, their full suspension ebike features 3.0in wide plus tyres, 140mm of rear suspension travel and a 160mm travel fork. 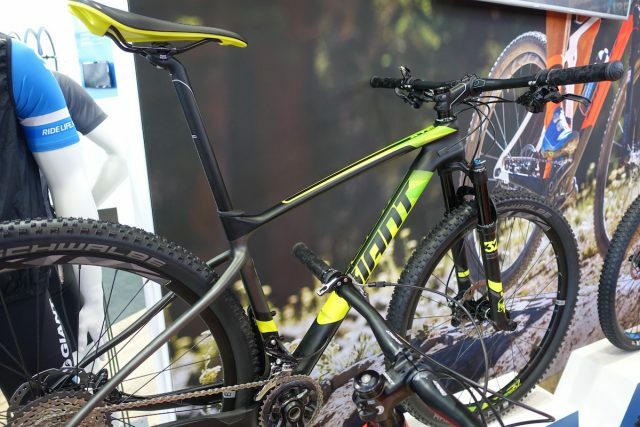 It’s a big bike. Big ol’ skid plate under the bottom bracket. 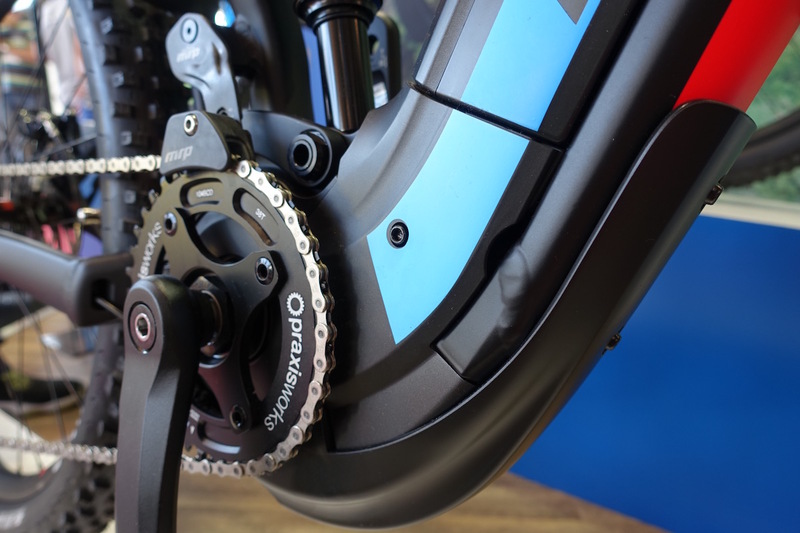 The electric motor comes from Yamaha and features 80nM of raw powaaar. 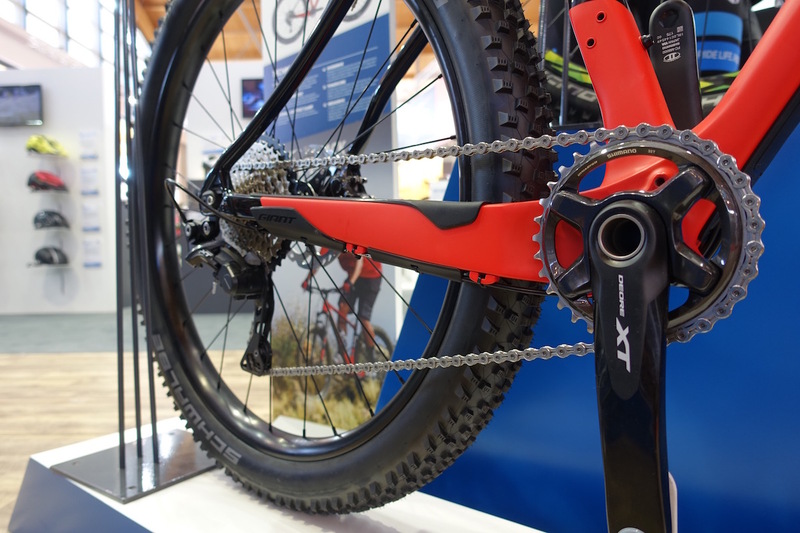 It’s spec’ed with SRAM’s EX-1 electric bike specific drivetrain. 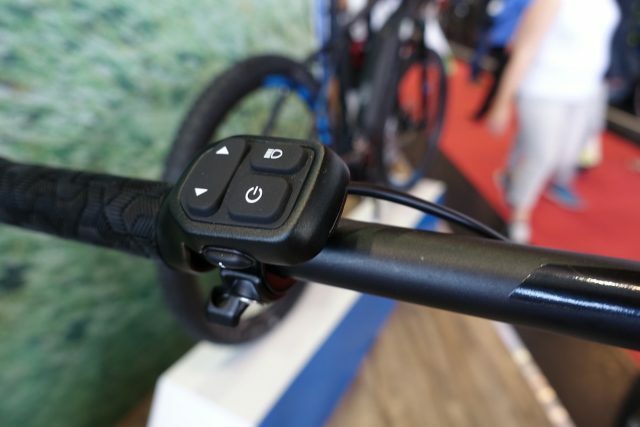 Semi-integrated rechargeable battery along the downtube gives you the extra juice on the climbs. 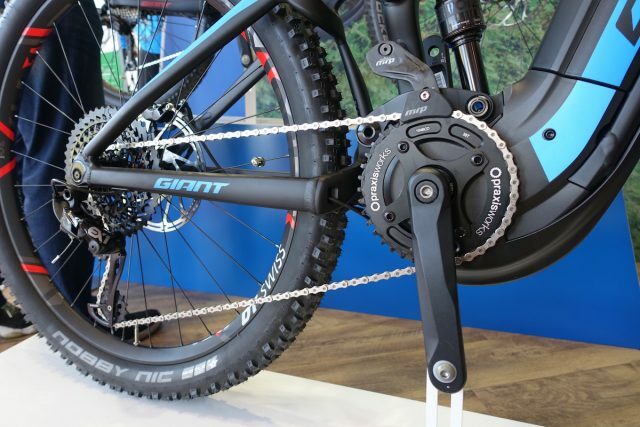 The motor system is called ‘SyncDrive Sport’, and it appears to be a collaboration between Yamaha and Giant. 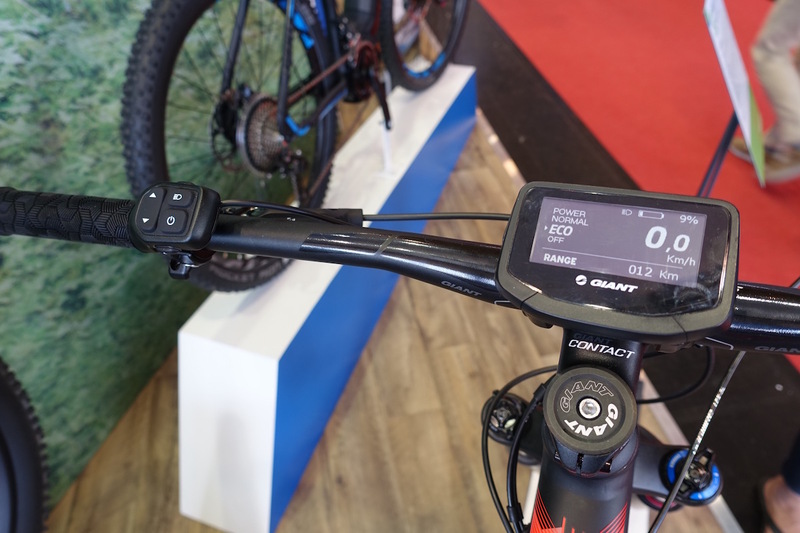 There’s a head unit on the bars to show you battery life and the mode you have selected, and a toggle switch on the left-hand side of the bars. 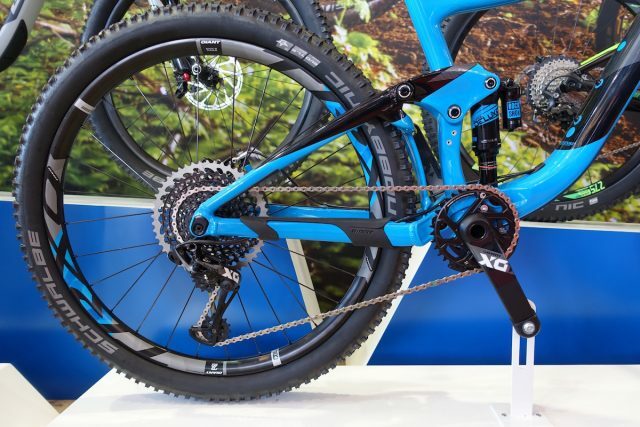 Does the Giant Full-E + 0 SX turn you on?